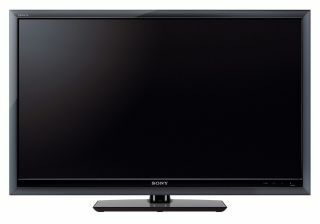 Sony has expanded its range of 200Hz TVs with the announcement of the Z5500. This Full HD television incorporates Sony's much-lauded Motionflow and Image Blur Reduction features, making for crisper and smoother-flowing images. This is great for those who like watching fast-moving action like football in HD. Not so great if you're a West Brom fan, then. To enhance the picture even more, the television also utilises something called Live Colour Creation, which is boosted by Sony's Bravia Engine 3 picture enhancement tech. Connectivity on the TV includes a built-in Ethernet port. This links your TV up to something called Aplicast, where you can peruse RSS feeds, weather reports and stocks and shares reports, even when watching a show. This type of feature has already been introduced by Sony on other televisions in the range and just shows that web-connected 'widget TVs' are becoming increasingly popular. For your money, you also get four HDMI ports, two Scart connections and an integrated digital TV tuner. The Z550 will come in 40-inch, 46-inch and 52-inch screen sizes, with prices starting at around £1,800. Expect it to hit shops some time in June.